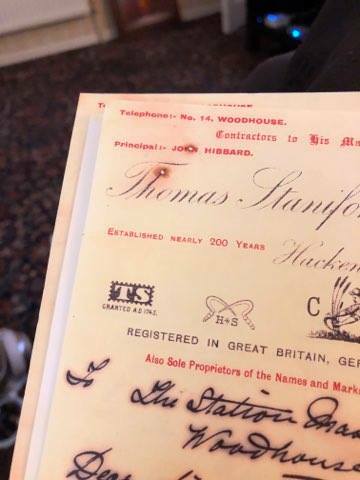 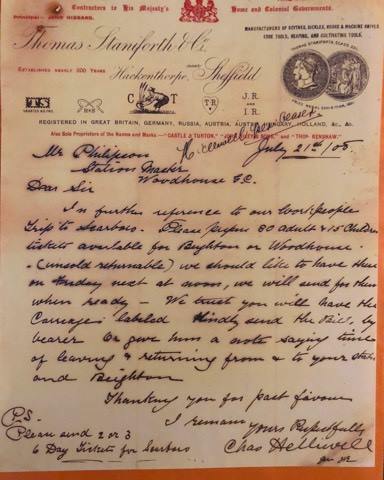 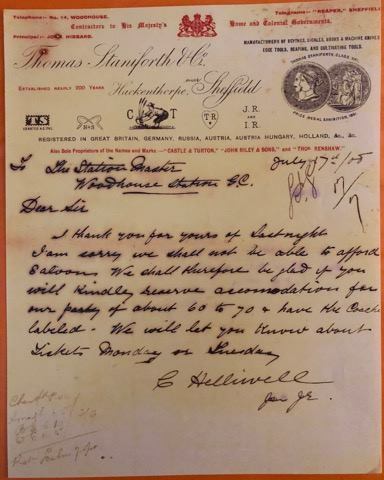 The following letters are dated 1908, and based on the signature, were written by Charles Helliwell, the Managing Director. 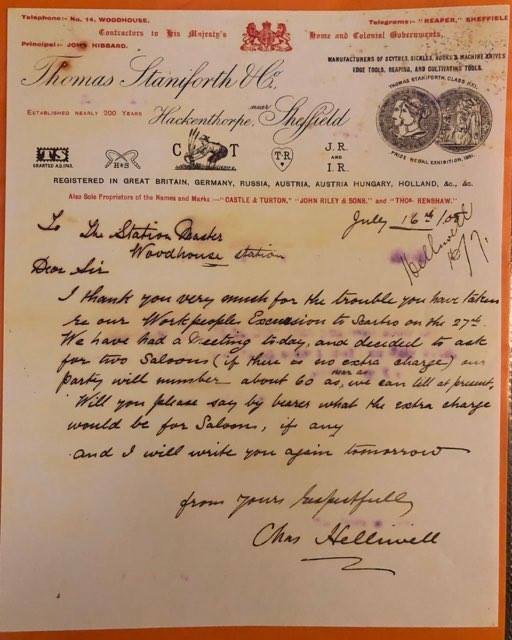 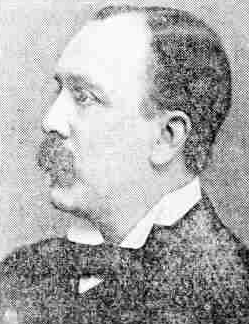 Charles was the son of George Helliwell and Sarah Tillotson. 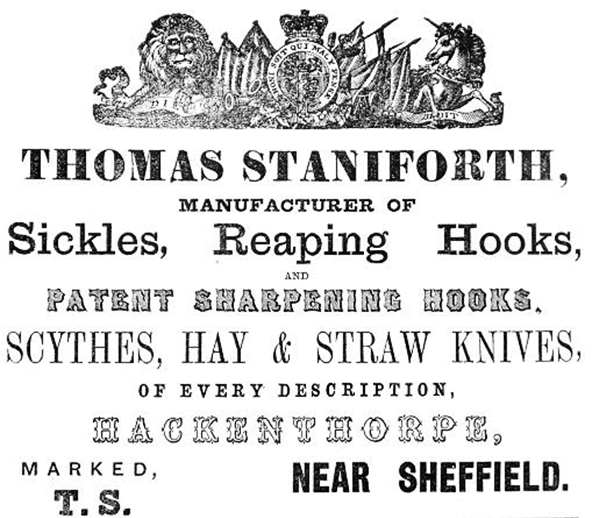 George was known for smithing Sickles at the nearby Throstlenest Farm until he was forced to cease due to noise complaints made by people passing on their horse and carts. 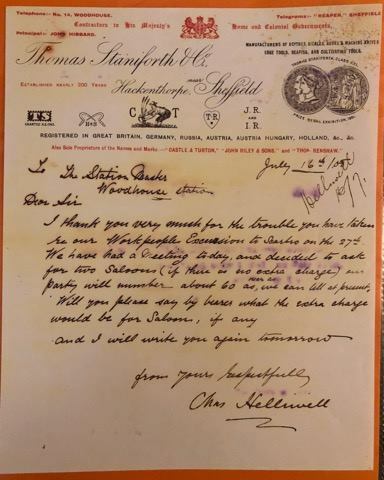 Eventually Thomas Staniforth & Co. bought George's small business and decades later we see his son working as Managing Director of the same company that bought his father out.